Synopsis: In their small London flat, Dalmatians Pongo and Perdy, and their human "pets" Roger and Anita, are overjoyed by the arrival of 15 puppies. 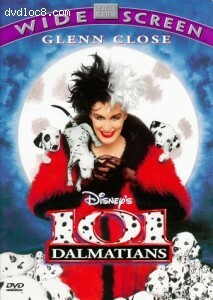 But when the spotted-fur-loving Ms. De Vil and her clumsy cohorts, Jasper and Horace, dognap the litter - along with every other Dalmatian pup in London - Pongo and Perdy must rally the town's animals to their rescue. The plan hurls them towards a thrilling climax filled with uproarious moments as the puppies attempt to outwit their captors and bring on a final showdown with Cruella.